Epic Games has released V6.01 patch notes for Fortnite. This update includes a new item called the Chiller. "Don't get cold feet! Freeze your foes and slide around for a quick getaway" reads the official depiction. The Chiller is a trap that encases an adversary player's feet in ice on contact, making them slide around. Look at the video below. The other expansion is a custom Playground trap which enables you to Tweak Tweak starting health, gravity and more. More options have been added for you to play around with. Tweak starting health, gravity and more! Added more options to Playground. Allowing you to change settings such as starting health, time of day, gravity, and more! Can be placed on floors, walls, or ceilings. Drops in stacks of 3 in Treasure Chests, Supply Drops, Vending Machines, Supply Llamas, and floor loot. Applies icy feet to friends or foes, causing them to slide around with low friction. Fixed an issue that could cause vehicles to become uncontrollable. Made improvements to the motion controls for the Switch to make it feel more accurate and responsive. Pets are now hidden along with your character when the camera is too close to you. Toys now respect the streamer mode setting for player names in minigame messages. Slightly increased the hitbox size on the Fancy Tomato to match its visual size. Muffled the audio if there isn’t a clear line of sight between you other gliding players. Fixed an issue where incorrect audio would play when a teammate was eliminated. Added star ratings to the UI elements of all trap items. Fixed an issue where players occasionally couldn’t interact with items. Knock those Husks into the ground with this new weapon. Fixed an issue where Keep Out!! !’s damage area was smaller than intended. 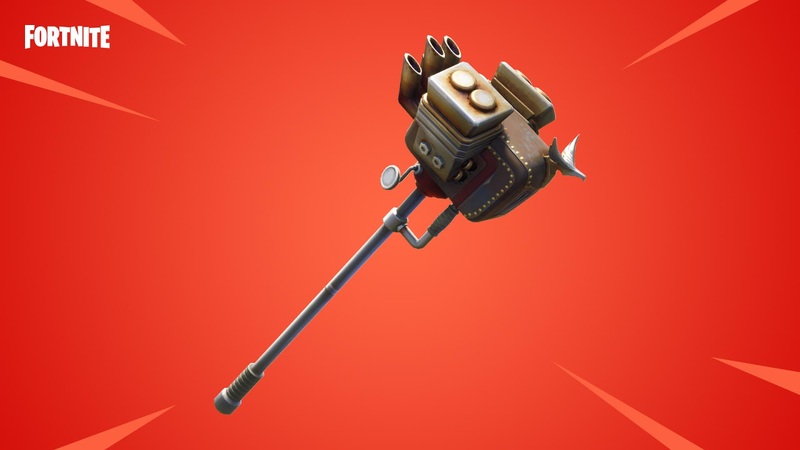 Lead Sled Hammer added to the Weekly Store. A fast-swinging hammer that gains speed with each hit. Available Wednesday, October 3 at 8 PM ET until Wednesday, October 10 at 8 PM ET. Obliterator Sniper Rifle added to the Weekly Store. A slow firing Sniper Rifle with high base damage and a heavy kick. 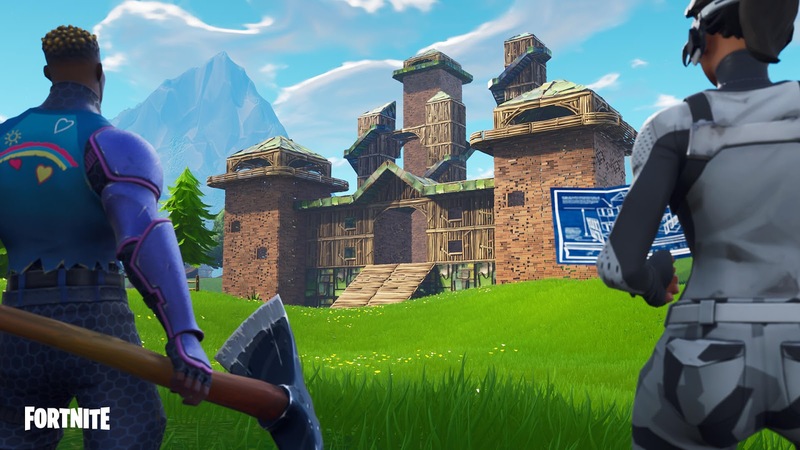 Shots pierce through walls and husks alike, and can quickly obliterate structures. Fixed an issue where the Walloper Hammer sometimes wouldn’t do damage while using the Leap Attack. Fixed an issue that could cause a hitch while using the Leap Attack with the Walloper Hammer. Elemental visual effects on weapons are now hidden along with your character when the camera is too close to you.